AirClim designs and installs geothermal plants or mini geothermal energy plants, allowing you to take advantage of renewable resources in order to heat and cool your home. The mini-geothermal energy involves the construction of small house systems that can use the heat in the underground for heat or cool the apartments. These plants can be made almost anywhere. Geothermal plants are technical devices of eco building to transform homes in warm places in winter and cool places in summer without using conventional heating or air conditioning systems. A mini geothermal system uses sensors in the basement of the houses to take advantage of the natural heat of the ground. As we already know the warmth of the earth increases with depth and it is constant throughout the year. The probes are connected to a heat pump and to the hydraulic system to extract heat or cool depending on the needs. Generally probes reach deep from 5 meters up to 100 meters underground by the size of the plant. Then through a distribution system (underfloor systems, radiant panels, ventilation outlets, etc ...) the "low temperature" heat or cool will be distributed within the environment. Geothermal plants in eco building are already a reality in many European countries. A heating or air-conditioning plan allows significant savings on gas bills and provides less environmental pollution. Do not forget to subscribe to the channel to stay updated with our news. 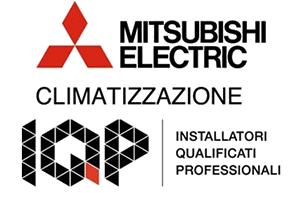 Book an appointment at your home in Milan to talk to our experts and design your geothermal system. If you book an inspection at your home, one of our technicians will be there to assess the situation and propose for the geothermal system that best suits your needs. Fill out all fields and please do not forget to include in the notes your address and phone number.